Vice-President Yemi Osinbajo once recalled that “on the eve of civil rule in 1999 the Federal government had encroached into many crucial areas exclusively within the competence of states. These include planning and development control, creation of offences, revenue collection and distribution.” While the courts have upheld some tenets of federalism the national assembly has continued to consolidate and expand the powers of the Federal Government to the detriment of federalism while the Presidency has regularly encroached on the powers of state and local governments. On their own part, state governors have compounded the crisis of federalism by taking over the administration and finances of local government councils. Regardless of political differences the members of the national assembly have not shown any readiness to review the Constitution with a view to restoring the federal status of the republic. Hence, the demand for a sovereign national conference to rectify the legislative and political anomalies carried out by the defunct military regimes has fallen on deaf ears. In the circumstances, the 36 state governments have had to resort to litigation to challenge the several laws and policies of the federal government which have violated the basic tenets of federalism. The federal government has fought back by defending such cases vigorously and adopting extra-constitutional measures to stop state governments from altering the status quo. Although the federal government has failed to stop the restoration of limited federalism through litigation only the Lagos state government has consistently mounted political measures to ensure power devolution. Thus, apart from litigation the Lagos state government has dared the federal government by enacting laws in areas not covered by the exclusive and concurrent legislative lists in the Constitution. As a result of the success recorded in the law courts the internally generated revenue of every state government has increased rather phenomenally. For instance, through litigation coupled with aggressive tax drive, the IGR of Lagos state which was N600 million per month in 1999 has increased to over N25 billion in 2017. Thus, the legal and political struggle waged by state governments has altered the national economy to the advantage of all state governments. It is therefore my submission that without embarking on the struggle for restructuring through litigation and adoption of political measures, majority of the state governments in the country would have collapsed. Contrary to the opposition of some governors to the demand for restructuring it is indisputable that there is no state government that has not benefited maximally from the struggle for power devolution led by the Lagos state government since 1999. At this juncture, it is pertinent to review the decisions of the courts in a number of constitutional cases which have impacted positively on the socioeconomic rights of citizens and the internally generated revenue base of state governments. By embarking on litigation and adopting political measures the Lagos state government has won the legal battles against the seizure of local government funds by the federal government and the creation of additional local government councils, issuance of certificates of occupancy on all landed properties in the state, control of inland waterways, collection of levies from hotels, vehicle registration and production of plate numbers, approval of building plans and granting of licence for lottery, pools betting and casino. The relevant cases and political measures adopted by the Lagos state government could be examined. Under the erstwhile military regime, physical planning in the country was regulated by the Urban and Regional Planning Act enacted in 1992 by the Babangida military junta. But in Attorney-General of Lagos State V Attorney-General of the Federation & Ors  the plaintiff challenged the constitutional validity of the Act. In granting the reliefs sought by the Plaintiff the Supreme Court held that urban and regional planning as well as physical development were residual matters within the exclusive legislative and executive competence of the state governments and that the grant of approvals, permits and licenses for building and physical development in Lagos state are exclusive responsibility of state governments. Sometime in 2002, President Obasanjo ordered the seizure of the statutory allocations of the local governments in the six states which had created new local government councils. While the other affected states decided to revert to the status quo by dissolving the new local governments the Lagos state government under Governor Bola Tinubu sued the federal government to justify the seizure of the statutory allocation of local governments in Lagos state. 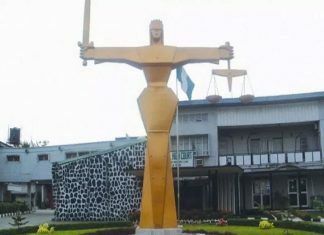 The dispute led to the institution of the case of Attorney-General of Lagos State v Attorney-General of the Federation  wherein the Supreme Court upheld the creation of the additional 37 new local government councils by the Lagos state government. Notwithstanding the finding that the new local governments were inchoate since they had not been registered by the national assembly the court held that the seizure of the local governments was illegal and unconstitutional. In 2014, the Lagos State house of assembly rolled out four laws to regulate hotel occupancy and licensing and restaurant operation within Lagos State. The action was challenged in Attorney-General of Federation v. Attorney-General of Lagos State  wherein the federal government sought to invalidate the laws. But the Supreme Court dismissed the suit on the grounds that the federal government’s power to enact laws on Tourists Traffic under item 60 of the Exclusive List in the Constitution could not oust the powers of the Lagos State government to regulate intra-state hotel businesses. Notwithstanding the enactment of the National Sports Lottery Act which has authorized the Federal Government to carry on lottery operations in any part of Nigeria the Lagos state government enacted a law to regulate lottery operations in the state. Although the case of Attorney-General of the Federation v Attorney-General of Lagos state has not been determined the position of the Lagos State government cannot be faulted. Our authority for the submission is the case of Edet v. Chagoon  where the Court of Appeal held that pools betting and casino are matters not listed in the Exclusive and Concurrent Lists and therefore fall within the residual competence of state governments. Notwithstanding the powers conferred on the Federal Road Safety Commission to design and produce drivers’ licences and vehicle number plates as well as the registration, licensing and road worthiness of vehicles the Lagos state government has established the Lagos State Motor Vehicle Administration Agency (MVAA) to develop a sustainable policy on motor vehicle documentation and other related matters in Lagos state. Through the MVAA the State government has engaged in the issuance and registration of number plates since 2007. As of today, aside the FRSC, Lagos is the only state that produces number plates in the country. With the production of 20,000 number plates monthly the Lagos state government controls more than 60% of the number plates issued in the country and generates substantial revenue from issuance and registration of number plates. In 1993, the General Ibrahim Babangida-led military regime enacted the Lands (Title vesting etc) Decree No. 52 of 1993 which vested the ownership, control and management of all lands within 100 metres limit of the 1967 shoreline of Nigeria and any other land claimed from the lagoon, sea, ocean in the federal military government of Nigeria. Even though the decree covered 9 costal states the Lagos state government encouraged the original land owners in Lagos state to challenge its constitutional validity in H.R.H Oba Yekini Adeniyi Elegushi & Ors. v. Attorney-General of the Federation & Ors . It is pertinent to state that the Lagos state government has also collaborated with other state governments in challenging many illegal actions of the federal government including the extension of the tenure of elected chairmen and councilors of local government councils, monitoring of local government funds, unilateral deductions from the federation account to fund the federal capital territory and special projects, abolition of onshore-offshore dichotomy etc. There are some relevant cases to illustrate this point. In Attorney-General of the Federation v Abia State & Ors  the federal government challenged the claim of the littoral states to derivation in respect of resources in the continental shelf. In granting the reliefs sought by the plaintiff the Supreme Court held that the littoral states were not entitled to 13% derivation from revenue in the continental shelf. However, with respect to the defendants’ counter-claims the court declared that the funding of Joint Venture Contracts and the NNPC priority projects and the deduction of 1% from the federation account to the Federal Capital Territory were illegal unconstitutional. The court further held that all revenues accruing to the government must be paid into the federation account apart from the exceptions listed in section 162 (1) of the Constitution, inclusive of the excess crude funds. It was also held the Federal Government lacks the power to deduct from state governments’ share in the federation account and give same to local government councils. In Attorney General, Ogun State v. Alhaja Ayinke Aberuagba & 7 Ors. it was contended by the respondents that the Ogun State Sales Tax Law was unconstitutional. In its judgment the Supreme Court held that it cannot be said that sales tax law is illegal as it is a tax on consumption which is not due until the goods have arrived at the point of consumption as opposed to excise duty which is levied at the point of manufacture. However, it was held that the portions of the law which discriminate against goods brought into Ogun state, in favour of goods in that state, are illegal and unconstitutional as they would inhibit the free flow of interstate commerce. In Attorney-General of Ondo State v. Attorney-General of the Federation  the plaintiff challenged the constitutional competence of the Independent Corrupt Practices and Other Offences Act. In dismissing the case the Supreme Court held that the National Assembly had power to enact the law as it is aimed at abolishing corruption and abuse of office and that both the federal and state governments share the power to legislate in order to abolish corruption and abuse of office. In Linas International Limited and 236 Ors v the Attorney-General of the Federation & 3 Ors. the plaintiffs sued the federal government over the deductions made from the statutory allocations of the 774 local government councils in the federation account to service external debts. In a judgment delivered on December 3, 2013 the federal high court granted the relief sought by the plaintiffs and ordered the Federal Government to pay them the sum of $3.2 billion illegally deducted from the statutory allocations of local governments. Encouraged by the judgment the 36 state governments demanded for payment of all over-deductions from their statutory allocations for external debt service arising between 1995 and 2002. Following the amicable resolution of the long standing dispute the Buhari administration has already refunded N522 billion to the states. However, the state governments have further demanded the payment of the outstanding 50 percent of the refund. Pursuant to section 7(1) of the Constitution which provides that the system of local government shall be by democratically elected councils the Supreme Court has had cause to set aside the purported extension of the tenure of elected chairmen and councilors by the federal government. See Attorney-General of Abia State & 35 Ors S v. Attorney-General of the Federation. The Supreme Court has also annulled the dissolution of the Councils and removal of elected council officials by state governors before the end of their tenure. See also Eze v Governor of Abia State . In Knight Frank Rutley Nigeria v Attorney General of Kano State the Supreme Court declared null and void a contract entered into between the Kano State government and Knight Frank Rutley to prepare a valuation list of all ratable hereditaments for the purpose of collection of property rates in some areas of Kano State for being outside the powers of the Kano State government and an usurpation of the exclusive powers conferred on local government councils by the Constitution. 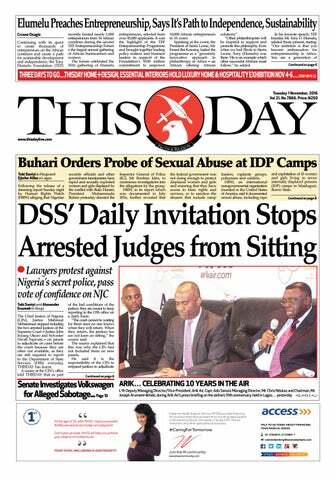 See also Attorney-General of Cross River State v. Ojua . In Attorney-General of Abia State v. Attorney-General of the, Federation  The Supreme Court held that neither the legislative nor executive arm of the Federal Government has powers to “monitor” funds allocated to Local government councils and that the duty of setting up the State Joint local Government Allocation Committee lies solely with State Governments by virtue of Section 162 (6) of the Constitution. Consequently, the provisions of the Monitoring of Revenue Allocation to Local Government Act 2005 which purported to establish a committee in each state of the Federation to be known as the State Joint Local Government Allocation Committee were declared illegal and unconstitutional. In Inspector-General of Police v ANPP  it was held by the federal high court that police permit for rallies was illegal and unconstitutional and that the governor is the appropriate authority who may delegate powers under the Public Order Act to a Commissioner of Police and that the Inspector-General of Police cannot exercise any power under the Act. The decision was upheld by the Court of inAll Nigeria Peoples Party & Ors. v. Inspector General of Police. Although the Land Use Act is a federal enactment which can be amended like other laws made by the national assembly the former military regimes entrenched the law in the 1979 and 1999 Constitutions. Hence, it was held by the Supreme Court inNkwocha v. Governor  that the Land Use Act is not an integral part of the Constitution but claims the special protection of section 9(2) of the Constitution in terms of its amendment. It was however made clear by the court that the land comprised in a state is vested in the governor of that state. In line with the provisions of the Freedom of Information Act the federal high court has directed the federal government to account for all monies recovered from treasury looters since 1999. *** The federal high court has directed the federal government to re-establish the Peoples’ Bank and set up the Nigerian Education Bank. Femi Falana v Attorney-General of the Federation***The community court of justice of the Economic Community of West African States has upheld the rights of Nigerians to education, health, shelter, safe environment, political participation and freedom of workers from unfair labour practices guaranteed by the African Charter on Human and Peoples’ Rights. It is high time that the labour unions and the progressive extraction of civil society adopted radical measures to compel the federal, state and local governments to comply with such valid and subsisting judgments of the courts which have upheld the socioeconomic rights of the Nigerian people. In my response to the demand of members of the ruling class for restructuring or devolution of powers I have had cause to condemn the demand of members of the political class for mere vertical restructuring of the federating units. On that occasion, I insisted that “the campaign for restructuring should encompass the decentralization and democratization of political and economic powers, which have been privatised by all factions of the ruling class. In particular, the struggle for federalism has to confront the control of the national economy by imperialism and the comprador bourgeoisie in Nigeria.” . F. Refusal of Supreme Court to determine some constitutional cases. In spite of the progressive role played by the Courts in promoting federalism through litigation it ought to be pointed out that the Supreme Court has curiously refrained from pronouncing on certain crucial matters of constitutional significance. Whereas the court had pronounced on the constitutional validity of the ICPC Act inAttorney-General of Ondo State v Attorney-General of the Federation (supra) the case challenging the validity of the Economic and Financial Crimes Commission Act was struck out by the Supreme Court in Attorney-General of Benue State v. Attorney-General of the Federation. In the same vein, the Hisbaw Law of Kano State for the establishment of a state police force was struck out for want of jurisdiction on the untenable ground that there was no dispute between the parties. See Attorney-General of Kano State v. Attorney-General of the Federation. It is submitted that the refusal of the apex count to entertain such issues of constitutional importance means that the legal validity of the issues in dispute have not been determined. 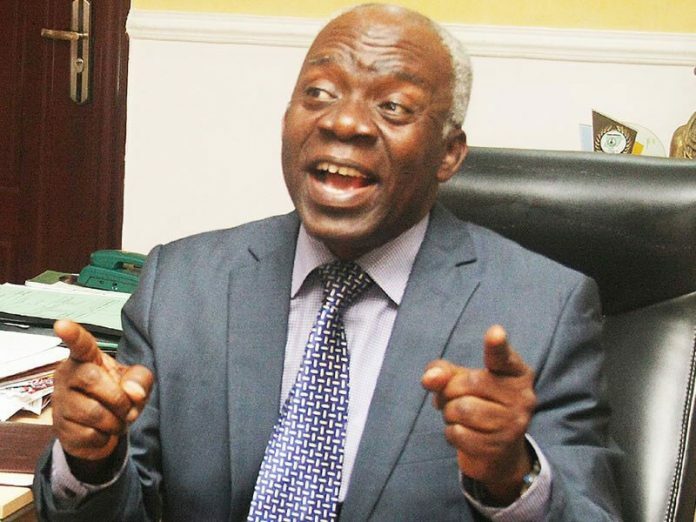 Thus, the escapist approach of the Supreme Court in these cases has emboldened the federal government to continue to lord it over state and local governments in many areas that are outside the exclusive and concurrent lists in the Constitution. State governments are advised to institute cases in the federal high court against agencies of the federal government which may have encroached on the powers conferred on state and local governments by the Constitution. In the light of the foregoing, it is submitted that some of the aforementioned cases have altered the fiscal arrangement between the federal government and the state and local governments. In particular, the illegal deduction of funds by the federal government to fund the federal capital territory and so called special projects, seizure of local government funds which allowed the federal government to dip hands into the federation account to fund its obligations, the collection of levies from hotels, inland waterways, building plan approvals etc by the federal government have been stopped. Thus, through restructuring by litigation the internally generated revenues of the every state government has increased. It is however sad to note that despite the increase in the revenue of state governments has not translated to improvement in the quality of the life of an average citizen in the country. Such lack of accountability has confirmed my position that power devolution without democratization will only concentrate powers in the hands of regional overlords to the detriment of the people. However, the struggle of the working people has led to the enactment of welfare laws for the actualization of the socioeconomic rights of the Nigerian people. And through the efforts of the progressive human rights community some provisions of the fundamental objectives and directive principles of state policy have been upheld in favour of the masses.